What Is a DEA Order to Show Cause? If you are registered with the Drug Enforcement Administration (DEA) or if you have recently applied for DEA registration, you may have received an Order to Show Cause. An Order to Show Cause represents the initiation of formal administrative proceedings to revoke, suspend, or deny a DEA registration. It is a matter that requires prompt attention and a strategic approach to avoid drastic consequences for your business or practice. When you receive an Order to Show Cause from the DEA, the first thing you should do is read it very carefully. The Order to Show Cause should state the legal grounds for the DEA’s decision, and it should explain your options for continuing to pursue registration. At this point, you are being asked to provide evidence as to why your registration should not be revoked, suspended, or denied. If you do nothing, the DEA will move forward with its decision, and you will not receive or maintain your DEA registration. 1. There Are a Number of Reasons Why the DEA May Issue an Order to Show Cause. An act can be considered “inconsistent with the public interest” if it involves any criminal activity or risk to public health or safety. Click here for more information. 2. There are Two Primary Ways to Respond to an Order to Show Cause. There are two primary ways to respond to an order to show cause. The first is to request a hearing before an administrative law judge (ALJ) at the DEA. If you request a hearing, you will present your evidence to the ALJ and the DEA will present its case as to why your registration should be denied. At the end of the hearing and once both parties have submitted their post-hearing briefs, the ALJ will render a decision. This decision will be binding unless either party files a successful challenge (referred to as filing “exceptions”) with the DEA Administrator. 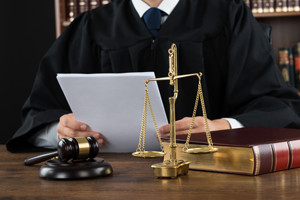 The second option is to waive your right to a hearing and file a written position statement. When you file a written position statement, the DEA Administrator will review all of the documentation relevant to your registration or application and then issue a final order. 3. You Have 30 Days to Respond. Once you receive an Order to Show Cause, you have 30 days to respond. This means that you must either (i) request a hearing within 30 days, or (ii) file your written position statement within 30 days. If you miss this deadline, the DEA will request a final order of revocation, suspension, or denial based upon the evidence underlying the Order to Show Cause. 4. If You Are Currently Registered, an Order to Show Cause Does Not Necessarily Mean That You Must Stop Dealing in Controlled Substances. If you are currently registered with the DEA, an Order to Show Cause, standing alone, does not result in the suspension or revocation of your registration. An Order to Show Cause represents the DEA’s intent to suspend or revoke your registration if you do not “show cause” as to why suspension or revocation is unwarranted. However, if you received an Immediate Suspension Order along with your Order to Show Cause, you must cease all handling of controlled substances immediately. While this can have an extreme impact on your business or practice, the consequences of dealing in controlled substances without a valid DEA registration can be far more substantial. 5. If You Request a Hearing, You May Be able to Settle with the DEA. Requesting a hearing within 30 days of service of your Order to Show Cause preserves your right to present your case and file exceptions if the ALJ rules against you. However, it does not necessarily mean that you will need to wait for the outcome of your hearing. Prior to your hearing, you will have the opportunity to work directly with the DEA to address the grounds stated in your Order to Show Cause. And you may be able to reach a settlement in order to have the Show Cause proceedings discontinued. If it turns out that the grounds stated in the Order to Show Cause are valid, one option you may have available for reaching a settlement is to submit a Corrective Action Plan. This is a relatively new option available under the Ensuring Patient Access and Effective Drug Enforcement Act of 2016. If the DEA accepts your Corrective Action Plan (either as proposed or as modified based upon back-and-forth communications) then you can avoid the need for a hearing – provided that you take the remedial steps outlined in the plan. 6. If You Exhaust Your Administrative Options, You Can Go to Court. If your case goes to hearing and the ALJ and the DEA Administrator both rule against you, you can still seek to obtain or protect your registration by filing an appeal in the U.S. Circuit Court of Appeals. While individual DEA registrants and applicants have the option to handle this stage of the process (and all prior stages of the process) pro se, due to the complexities and ramifications involved, hiring experienced legal counsel is strongly recommended. Have You Received an Order to Show Cause from the DEA? If you have received an Order to Show Cause from the DEA, we encourage you to contact us promptly for a complimentary case assessment. We have decades of experience representing health care providers and other entities in federal matters, and we can help protect your right to handle controlled substances in response to an Order to Show Cause. To schedule an appointment with the experienced defense attorneys and former federal prosecutors at Oberheiden & McMurrey, LLP, please call (888) 519-4897 or inquire online today.